Shortly after the foundation of the Neue Bachgesellschaft (New Bach Society) the first ever Bach Festival was launched in Berlin in 1900, mainly focusing on the propagation of Bach’s music and making it accessible to a broad public. Four years later, the festival came to Leipzig, and again in 1908, 1912 and 1916. Unfortunately, the progression of the First World War disrupted further plans until 1920 when the festival was back again, but again it was no everlasting joy. Nazi ideology gradually invaded the arts and took hold of the Festival’s cultural itinerary. The name was changed into the Bach-Händel-Schütz Feiern (Festival). In the late forties the political, military and social circumstances gravely deteriorated, while travel conditions in Europe and beyond severely worsened. Additionally, thousands of musicians were either expelled or lived in exile in non-occupied countries. However, the festival became revitalised within one year of the collapse of Nazi Germany: the Bach Festwoche was more or less in place, albeit only with the greatest of efforts needed to run it under Soviet ruling. In 1950 the GDR rulers exploited the 200th anniversary of Bach’s death, realising that one of the nation’s greatest cultural assets deserved international promotion. The introduction of a real Bach contest for performing musicians (Dmitri Shostakovich being one of the jury members), a variety of seminars and lectures, and an exhibition in Leipzig's Old Town Hall became an important stimulus, gradually contributing to the festival’s progressive popularity, even though the whole of Bach’s church music was sadly missing. For the GDR then, the party's 'religion' had to dominate, not the church’s. After "Die Wende"- the fall of the Berlin wall and the beginning of Germany's reunification from November 1989 onwards - the transformation affected all the arts. It took some time to restructure and to reorganise of course, along with the almost burning necessity to reform an otherwise hopelessly old fashioned political and social system. Massive transitions were taking place on all levels and in each and every imaginable direction. Less than five years later the New Bach Society established the 69th Bach Festival for the first time in conjunction with the famous Bach Archive in Leipzig. Exactly ten years after the demolition of the Iron Curtain, the Bach Festival was not just as lively as ever, but it was now transferred into a solidly planned annual event, and even more importantly, was also solidly financed by the city and organised by the Bach Archive. The Leipzig Bach Festival was now a reality and would last. On the other hand, the New Bach Society also decided to maintain its own annual festival tradition in various German cities, but in specific jubilee years (ending on 0 or 05) they joined the Bach Archive in organizing the event in Leipzig exclusively. There can be no question that the Leipzig Bach Festival has gradually grown into one of the major classical music festivals in Europe, significantly contributing the city's importance for all music. Johann Sebastian Bach, who lived and worked in Leipzig during major part of his life, from 1723 until his death in 1750 was clearly the greatest cantor of all time at the city's St. Thomaskirche. There he created most of his cantatas, the St. John and St. Matthew Passions, the Magnificat, the Christmas Oratorio, the Musical Offering, the Art of Fugue, the Great Mass in B minor and so much more. There can surely be no more impressive artistic experience than to hear Bach's music in the two main churches where he had worked so strenuously: St. Thomas’s itself and the St. Nikolaikirche. But other historic venues are important too, like the Old Trading Bourse (Alte Handelsbörse) and the Old Town Hall (Altes Rathaus). In all of these, the baroque period comes very close to one’s heart, and not only in a musical sense. These sites are part of the great inherited tradition, and it is a most uplifting experience to be a part of it: people from all over the world gather to listen to baroque music played by first class performers and ensembles in a most fascinating baroque settings. We can almost imagine that we actually in the period when those great baroque masterpieces were conceived, as if time is standing still for us. Johann Sebastian Bach apparently did not leave behind a written will, but he may have given rough instructions, after a serious illness in the fall of 1749, on how his musical estate was to be handled in the event of his death. The systematic distribution of his collected work was intended to preserve as much of it as possible and yet he still could not prevent some items from being scattered to a certain extent. In a letter to Bach’s later biographer Johann Nikolaus Forkel in 1774, Carl Philipp Emanuel Bach complained that the musical scores of Bach senior were getting hard to track down: “It is aggravating that my late father’s things should be floating around like this. I’m too old and too busy to round them up.” An assiduous keeper of his father’s legacy, Carl Philipp Emanuel tried – especially in his later years – to bring the scattered musical scores together as best as he could , with the aim of establishing a “Bachian Archive”. Although relatives were supportive of his efforts, much of the work could no longer be located and was irretrievably lost. J S Bach had apparently divided up his music library with practical considerations in mind. According to Forkel, most of his sacred pieces were left to his oldest son, who was most likely to have a use for them as music director and organist at the Liebfrauenkirche (the Church of our Lady) in Halle. Wilhelm Friedemann had performed several of his father’s festival cantatas from 1746 onwards and had borrowed some of them from his father’s library for this purpose. They were usually performed in their unabridged versions with no changes to the texts; only the instrumentation was occasionally modified. That he possessed at least one of his father’s Passions is indicated by the account of his absurd parody of several arias from the “at least thirty-years-old” Passion oratorio “of a certain, distinguished double counterpointist.” We would love to know nowadays if this is a reference to the first Passion piece of his father from the year 1717. Accusations of plagiarism even resulted in a lawsuit in Halle, where the concert’s patron refused to pay Wilhelm Friedemann the agreed-upon fee of 100 talers. The files of the proceedings have unfortunately been lost. Unlike his older brother, the younger Johann Christian Bach, who had just turned 15 in the fall of 1750, had virtually no use for his father’s sacred works. He left most of the manuscripts that came to him from his father’s estate to his brother Carl Philipp Emanuel before heading to Italy in the early summer of 1755. There he converted to Roman Catholicism – much to the dismay of his Protestant family – in order to take on a position as church musician. As organist at the cathedral of Milan he understandably could not perform his father's sacred works , indebted as they were to the Lutheran tradition. Carl Philipp Emanuel's early church compositions do betray the stylistic influence of his father, however. Compared to Johann Christian, the three years older Johann Christoph Friedrich must have been “the best player among the brothers, performing his father’s piano compositions with the most skill.” As a chamber musician and subsequent concertmaster of the Bückleburg court orchestra, he composed very few sacred works of his own but did occupy himself with his father’s choral compositions, possibly even lending a hand to his brother Philipp Emanuel in the latter’s first edition of the four-part Chorales (BWV 253-438), begun in 1765. 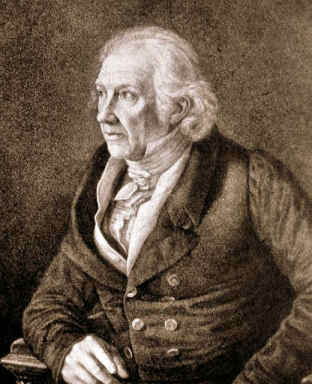 Judging by his correspondence with Leipzig publisher Johann Gottlob Immanuel Breitkopf at least, he pursued the project with avid interest. In a number of his own church compositions, Bach’s second-youngest son used choral movements from his father’s cantatas, Passions and oratorios, sometimes rather prominently. He inherited numerous sacred works from his father’s estate, and even performed some of them in later years. There are at least some strong indications of this in his handwritten notes on the scores of the cantatas “Jesus schläft, was soll ich hoffen” BWV 81 and “Herr, gehe nicht ins gericht” BWV 105. When and where these performances took place remains uncertain, as there was no great interest in sacred music at the Bückleburg court, where on regular Sundays, figurate music was never or rarely performed. The fact that Bach’s sacred works continued to be performed in Leipzig after his death (1750) is thanks to especially Anna Magdalena Bach, who was legally entitled to a third of his estate. Among other things, the widow inherited the performing parts of the so called chorale cantata cycle, but gave them to the St. Thomas’s School in August 1750, in exchange for a six-month period of grace, i.e. permission to stay in the rectory for that time after her husband’s death. The manuscripts were intended for practical purposes and were indeed used by Bach’s successors in office, Gottlob Harrer and Johann Friedrich Doles, for a number of performances – perhaps even more often than can be verified from the visible records. According to some historical sources, Doles is said to have performed three of Bach’s Passions. Two of the three pieces, however, were erroneously attributed to Bach however but it is possible that the early version to his Passion According to St. Matthew BWV 244b was performed in Leipzig around 1756. Even before Doles took over the cantorship at St. Thomas’s Church, Prefect General Karl Friedrich Barth had “long administered” the cantorship – as he expressively pointed out in a subsequent application letter – performing at least 15 of Bach’s chorale cantatas as interim cantor and organist. 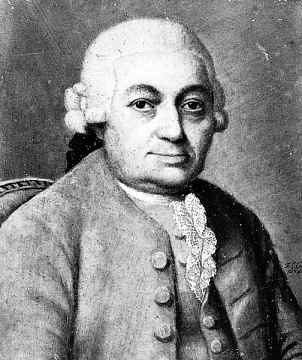 With his new position in March 1768 as cantor at the Hamburg Johanneum (Latin school) and music director of the city’s five main churches, Carl Philipp Emanuel Bach assumed tasks largely identical to those of his father. In this respect, Bach’s second-oldest son had an enormous workload, and yet his understanding of the office and assignment of church musician was wholly different his father's. Though his full-time job was to take care of church music on Sundays and Holy-Days, Carl Philipp Emanuel devoted himself from the very start to composing instrumental pieces. Sacred vocal works were only really of interest to him when they were intended for public concerts or as part of an edition of collected works. His extensive music library contained - particularly in later years – most of his father’s sacred scores although very few of these were performed in full in Hamburg. CPE Bach usually borrowed individual passages, in most cases Bible-verse choruses and chorales – in other words, passages with rather timeless texts, unlike many libretti of the early 18th century. According to a report on Hamburg church music from 1789, “texts which are old, poor, and no longer appropriate to contemporary tastes” were not to be tolerated and Philipp Emanuel therefore made fundamental changes to the texts when borrowing pieces. In Hamburg he also performed passages from his father’s Passions, even using considerable portions of the St. Matthew Passion BWV 244 in his own first Hamburg Passion pieces (as well as in their later versions), whereas he composed the contemplative movements (arias and recitativo accompagnato) himself, in their entirety. Zelter was the driving force of an initial large-scale Bach revival in the following years, performing in full or in part, around 100 of Bach’s cantatas and many instrumental works, in addition to the St. Matthew and St. John Passions, at the Friday recitals of the Berlin Sing-Akademie. He thereby continued a tradition which had begun in Berlin long before 1800 and which was closely tied to the activities of musicians like Johann Philipp Kirnberger, Johann Friedrich Hering and Christian Friedrich Carl Fasch. They were the main ingredients of the current festival’s program: the works by the Bach family of composers and musicians, partly from the transitional period from Baroque to Classicism. No other family contributed so much and so diligently to the musical history of Europe or was so heavily involved on such high musical levels in almost any genre, be they in courts, churches or municipalities. The Saxon Academy of Science is now – at last! - preparing an index of the complete works of all members of this Bach family. The first two volumes contain works by Johann Christoph Friedrich (edited by Ulrich Leisinger) and Wilhelm Friedemann (edited by Peter Wollny). Another focal point of interest was the music created by same or later generations of composers, where they referred to Johann Sebastian Bach as their great contemporary or predecessor. To quote Shostakovich: “Bach’s music is the most supreme pinnacle of the art of music in this world.” And: “His music is truly contemporary even in our day.” An we know of another great composer of the twentieth century, Igor Stravinsky, who usually started his working day by playing Bach on his piano. This year’s festival program could not have been better drafted, ranging from a great number of sacred and secular works to intimate chamber and solo music, a substantial part of which is either rarely heard or even not at all. For instance, I cannot recall any live performance of Carl Philipp Emanuel Bach’s St. Matthew Passion or the ingenious pieces for viola da gamba by Johann Christian Bach. Other fine examples: Fasch’s Mass for 16 voices, Zelter’s “Wachet auf, ruft uns die Stimme” and “Im Flammen nahet Gott”, Zelenka’s and Hasse’s Miserere in C minor, or the pasticcio “Wer ist der, so von Edom kömmt” by the combined efforts of Graun, Telemann and Bach. An extra series of commissioned compositions (a Festival initiative) also took us, for instance, to the “Fantasia on an Arioso by JS B(ach)”, a piece written by Friedrich Goldmann, inspired by an arioso from Bach’s St. Matthew Passion. Other contemporary compositions and performances too carried a mix of Bach’s musical fundamentals and sparkling jazz sounds, like the ever exciting Jacques Loussier Trio. They all proved – sometimes just sounding at random - that invention creates invention.